Last year I took a break from Round The Horn as I was occupied with other things, but I’m back this year with new work, a clearance sale of discontinued stock and a pair of new visiting artists taking over my living room for the day. This year I have two artists from The Old Printing Works in Thornton joining me for the day. Both photographers working with traditional black and white analogue photography and alternative photographic processes such as cyanotypes and salt printing. 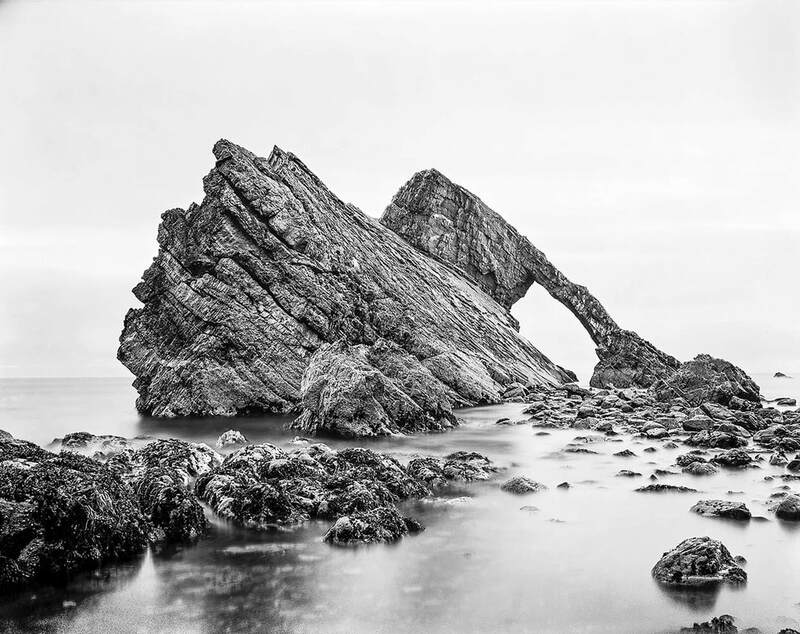 Paul McDonald studied at both the University of New Mexico and Glasgow School of Art; he works with large-format view cameras and uses historical and traditional printing methods. As a picture-maker, Paul predominantly works in black and white and aims to capture the spaces that go unseen as we go about our daily lives. 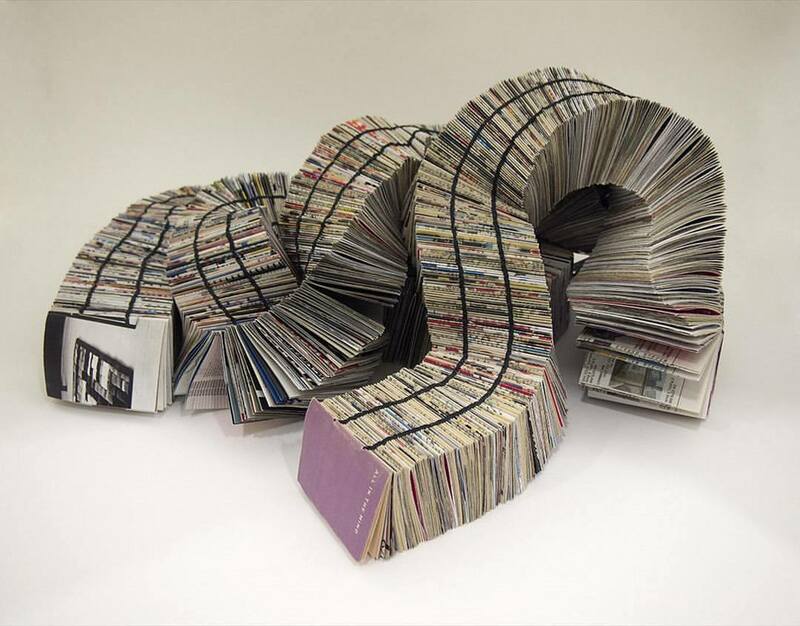 Marion Archibald is a graduate of Glasgow School of Art and incorporates photography, print-making, found objects, artist books and small-scale sculptures into her practice. In addition, Marion runs a variety of book-making workshops as well as analogue photography and alternative processes workshops alongside Paul from their studios in Thornton. 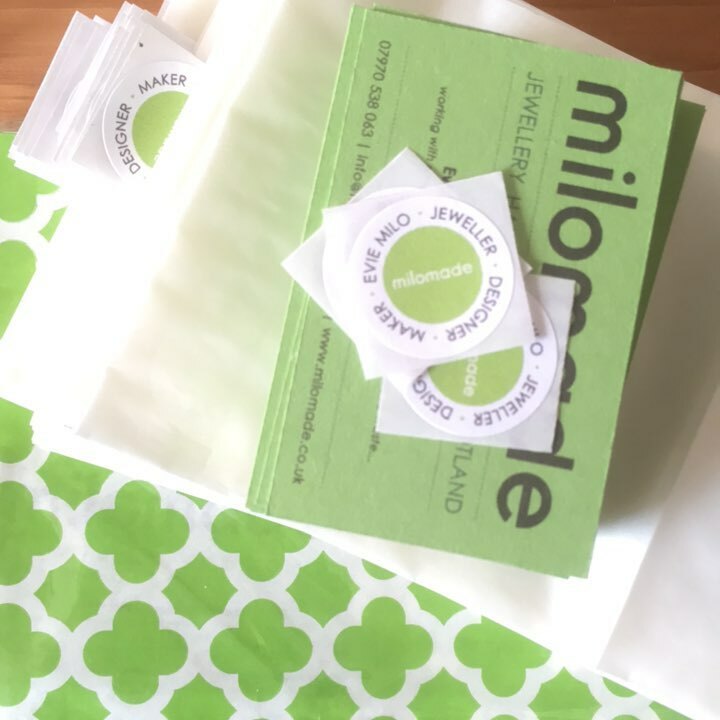 As for me, well, Milomade has been going through a gradual metamorphosis lately as I’ve been transitioning from making jewellery, stationery, accessories and decorations to just making jewellery. 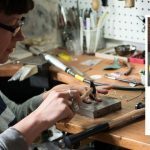 I made the decision this year to focus solely on jewellery production and it’s taken a long time to let go of my other product lines and forge my way forward as a jeweller, but I’m getting there and a new website is currently being created, to be launched (hopefully) by the end of the year. 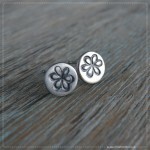 You may have already noticed a slight branding change in my posts on social media online. Green is my favourite colour and I do try to be as ‘green’ as a I can with my choice of materials and practice too, so I thought it apt to reflect this in my business identity as well. 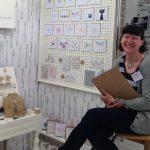 So at this years Round The Horn I’m having a bit of a clearance sale with a 30-50% discount on a lot of my old stock, including notepads, badges, magnets, pocket mirrors, brooches, messenger bags, posh pouches, greetings cards, DIY decoration packs, gift tags etc. 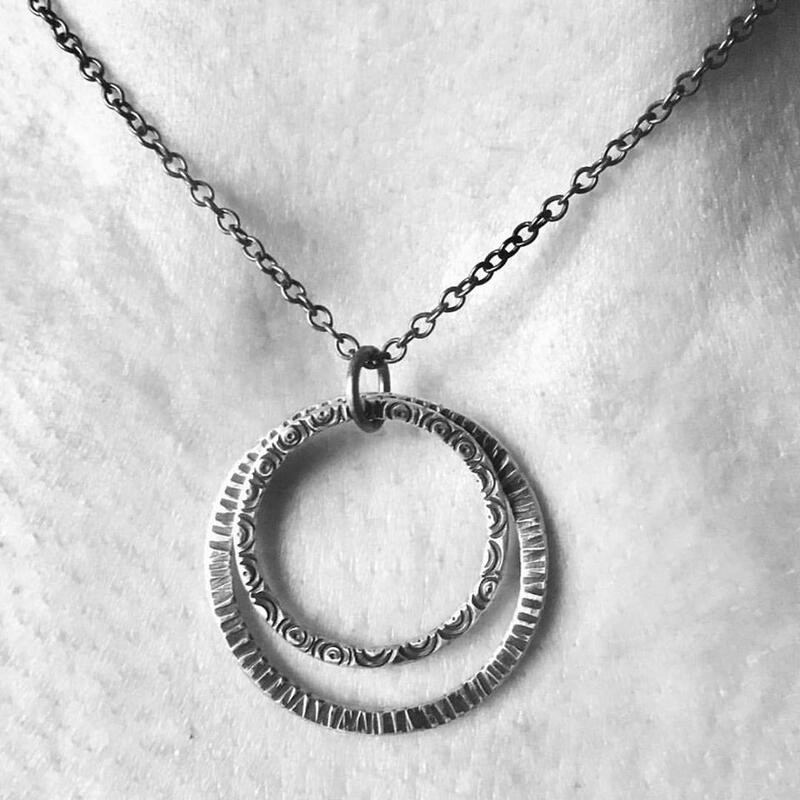 I will also be showcasing my main jewellery collections made from recycled sterling silver teaspoons, but I’ve also been busy making new work from Eco Silver and Copper, so you’ll have lots of Acorn Pendants and matching Oak Leaf Earrings to choose from as well as new pieces that have been added to my Little Details collection recently (see pic of pendant above). This entry was posted in News & Events and tagged Christmas Shopping, Open Studios, Round The Horn.